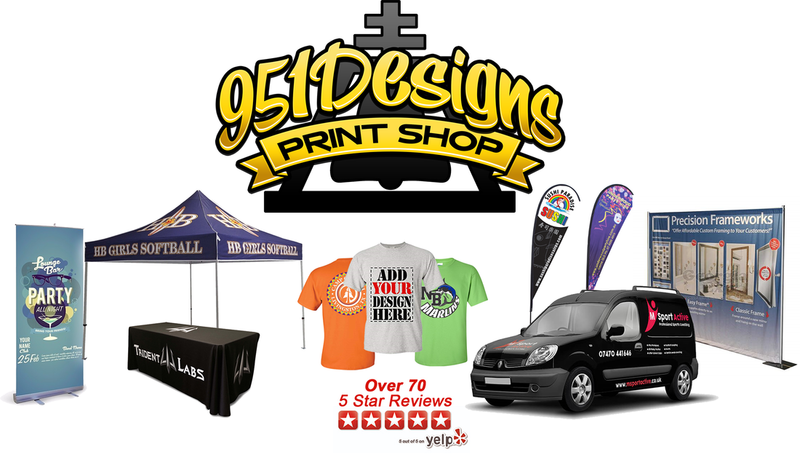 Custom Shirts • Banners • Vehicle Graphics • Signs • Stickers • Brochures • Business Cards & More! 951 Designs is a versatile graphic designs shop that also offers affordable printing services. We have helped hundreds of business's with professional graphics and quality printing. Checkout our specials we offer for starting business's. We know what its like to take that leap to begin your own business and will do our best to provide you the materials needed to be successful at competitive prices. We are located off the 91 Freeway / Pierce exit. The majority of our clientele reside in Corona, Norco, Ontario Eastvale, and Moreno Valley, but we have helped small businesses from Oregon, Minnesota, Texas and even Japan. Our Graphic Design company specializes in the creation of banners, business cards, logo design, flyers, vehicle graphics, store front signs, and more!